The National Weather Service (NWS) Forecast Office in Norman uses amateur radio as one method of communicating with spotter groups and emergency management organizations throughout our area of responsibility. 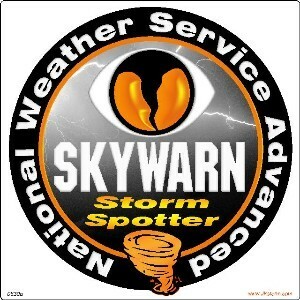 For decades, amateur radio operators have provided invaluable service in support of the SKYWARN storm spotter program by using their unique communications capabilities to share critical information between the NWS, the local emergency management officials and storm spotter networks. Thanks to the hard work and dedication of amateur radio groups throughout the area, a SKYWARN amateur radio network has been established to facilitate two way communication between NWS Norman and local emergency management agencies and storm spotter networks. The network is designed as a “liaison net” during severe weather operations, serving as a collection point where local spotter networks (operating on their local repeaters and frequencies) can collect and relay reports and information to the NWS in Norman. The local net control stations gather information from individual spotters and relay that information to the NWS via the liaison net.